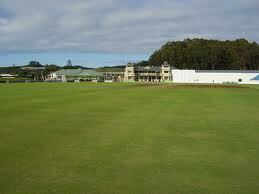 The Cobham Oval is a cricket ground in Whangarei, New Zealand that stages only first-class matches. It is one of the home grounds for the Northern Districts Knights. It is named after the former Governor General, Charles Lyttelton, 10th Viscount Cobham. A new Cobham Oval was built in 2006. A One Day International against Zimbabwe (2nd ODI) is to be held on Waitangi Day (6th February 2012) and a Test cricket match against Sri Lanka is to be held in January 2015.